MMCC’s mascot, Harry the Heron, has made it big. He’s the main character in an original children’s book that tells the story of Harry’s struggles to appreciate his differences and realize his potential. 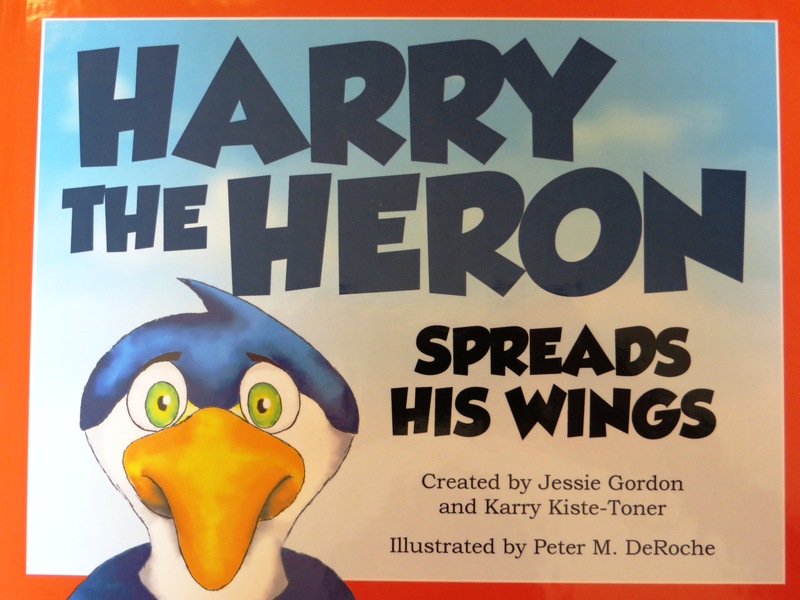 Written, illustrated, and published by Mid employees, “Harry the Heron Spreads His Wings” already has been widely shared with local school children. To celebrate March is Reading Month, college employees read it in classrooms across the mid-Michigan area. Harry was present during the readings to pantomime the book’s events and to offer up hugs and high fives to students. Harry looks on as a group of Clare students enjoy hearing his story. More than 20 area elementary schools, involving nearly 70 second-grade classes, participated in the book readings. Each participating school received a free copy of the book for its library. The book’s creators are Jessie Gordon, Director of Marketing and Admissions, and Karry Kiste-Toner, Admissions Recruiter. The book’s illustrator is MMCC’s graphic designer, Peter DeRoche. 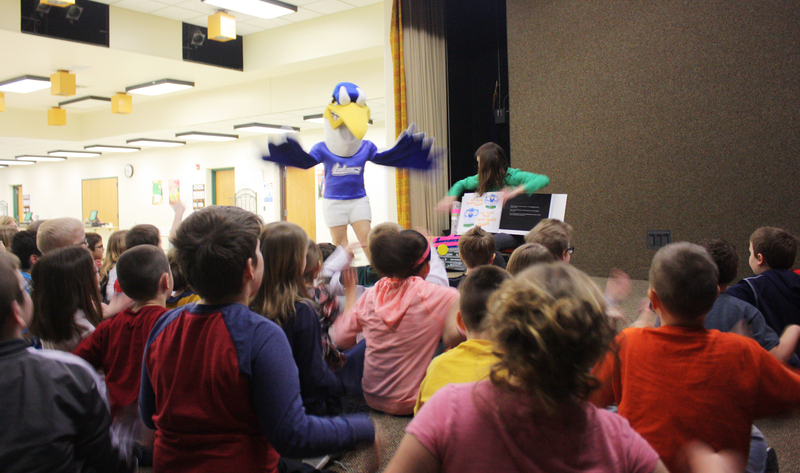 The project got its start when Kiste-Toner attended a conference where she heard about an outreach project at Oakland University in which they read to elementary classes to celebrate March is Reading Month. They also created a book that featured their mascot, and they took the mascot with them for the readings. “Karry thought the idea was wonderful and approached me about whether we might be able to do something similar,” Gordon explained. That’s when DeRoche got involved. As the original designer of Harry the Heron, he began researching various illustration styles and techniques for the book and began drafting versions of Harry before the book was even written, explained Gordon. As a concept, the project seemed simple enough. “Pulling it off turned out to be a lot more effort than we could have imagined,” Gordon admitted. After an early draft and some revisions, the MMCC first-time authors asked three different elementary teachers to read the story and provide feedback. “All of them agreed that it would be perfect for second graders,” Gordon recalled. It was then up to DeRoche to create the colorful artwork that typically makes children’s books appealing. “He spent hundreds of hours on the drawings, sketching them by hand and then transferring them into digital art that he could color and transform for publication,” Gordon said. McKay Press handled the actual book printing and packaging, and copies of the colorful hardcover book are available for $13.50 in the MMCC bookstores. The online version of the book can be read at www.midmich.edu/heronstory.